Japanese rice wine, or sake, is an alcoholic beverage brewed from fermented rice. In addition to rice, its base ingredients are koji and water, where koji is a mould grown on the rice that kick-starts the fermentation process. The rice grain is polished and left to ferment. The flavour of the sake is established by the rice and water used, and most importantly, the amount of rice grain that is polished away. Sake has been around for over 2,000 years and was traditionally used for religious ceremonies and court festivals. In the beginning, sake production was controlled by the government, but in the 10th century production was taken over by temples and shrines. The Meiji Restoration saw a sake boom. Many breweries were set up by landowners who would brew sake from leftover rice crops, rather than let rice grain go to waste. Today, sake is brewed not only in Japan, but also in Asia, America, and even in Australia. The Go-Shu Australian sake brewery operated by Sun Masamune is located in Penrith. October 1st is official World Sake Day: Nihonshu no Hi, and is traditionally the start date of Japanese sake production. Like wine, sake should be sipped and savoured, not drunk in shots. When drinking sake in a group, you will often hear the expression, “kampai!” — the equivalent of “bottoms up!” — but after making the toast, you should sip and enjoy the rest of your glass at your own pace. There is no need to down sake in one shot. 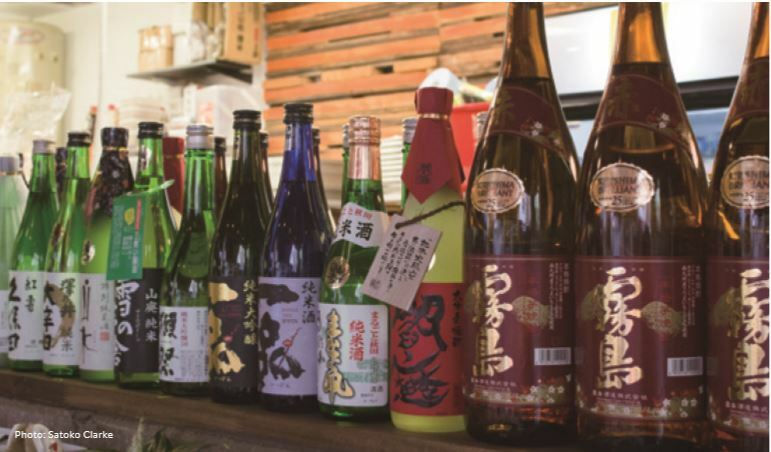 In Australia there are plenty of places to enjoy sake with Japanese food. Head to your local izakaya and order away! Some izakaya have push carts on which sake is brought to your table. The restaurant staff may offer you a taste before you order. Take the opportunity to chat with the staff about your preferred flavour profile and ask for suggestions. If you would like to buy some sake in Sydney, Tokyo Mart, located in Northbridge Plaza, is a 15-minute drive from the city. Tokyo Mart has an extensive range of sake and other Japanese beverages. The labels on sake bottles carry a lot of legally required information that will assist you in knowing what to expect of your drink. For example, the label will tell you the type of sake, its alcohol content, its ingredients (in particular, if it contains distilled alcohol), the production date, the amount in the bottle, the name and address of the brewer, and the sake’s characteristics. Sake is split into different categories depending on the rice polishing ratio, or how much grain remains after polishing. Sake is brewed from the starch inside the rice grain. Less polished rice with more grain remaining results in a full-bodied and richer sake. The more polished the rice, the cleaner and crisper the taste. Occasionally, brewers may add distilled alcohol into a sake brew to adjust the taste. Sake made with pure rice and not containing distilled alcohol is differentiated by the prefix, junmai, meaning pure rice. There are three main types of aroma and flavour. Ginjo has a rice polishing ratio of 60 per cent. Ginjo sake is pure, refreshing and rich, yet light bodied. It includes dai-ginjo, in which the rice is most polished to less than 50 per cent remaining grain. Dai-ginjo is the most expensive sake as it takes approximately 40 hours to polish rice to less than 50 per cent of its volume. Ginjo sake that does not contain distilled alcohol is known as junmai ginjo-shu, or junmai dai-ginjo-shu, depending on the rice polishing ratio. Ginjo is best served cold. Honjozo has a rice polishing ratio of 70 per cent. It takes some ten hours for rice to be polished to this level. Tokubetsu honjozo is in the same flavour profile, but has a rice polishing ratio of 60 per cent. Both types of honjozo have small amounts of distilled alcohol added, resulting in a cleaner, more fragrant and drier sake. Honjozo may be served hot or cold. Junmai has an unspecified rice polishing ratio and no distilled alcohol added. Junmai is rich, savoury, and full bodied, with a subtle aroma. It is not as polished as ginjo sake, and generally has a rice-like flavour. Junmai is best served at room temperature, or warm, to bring out the most flavour. SMV is used to indicate the sweetness or dryness of sake. It is a measure of the density of sake relative to water. A negative SMV indicates a sweeter sake, while a positive value defines a dry sake, and is affected by the sugar content, or level of acidity. SMV is indicative of sake flavour and an average SMV is +3. Sake is served neat at either room temperature, chilled, or warmed. Temperature is dependent on the type of sake being drunk. The label on the bottle may include a suggested serving temperature. 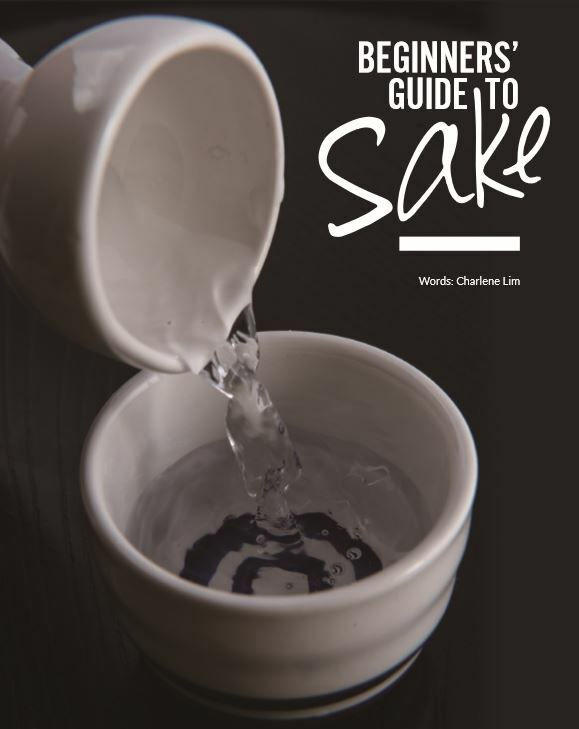 Sake should be warmed in a bath of hot water and not over an open flame. The best approach is to use a thermometer to monitor the temperature. Some sake contains sediment. Sake with sediment should not be shaken. Move the bottle gently from side to side to mix the liquid before serving. Most restaurants will serve sake in a small, bowl-shaped cup called a choko, poured from a flask called a tokkuri. A tokkuri is good for serving warm sake, as the narrow neck prevents heat from escaping, but a tokkuri can also be used to serve sake cold. A slightly larger cup is known as a guinomi and is used to serve both warm and cold sake. Cold sake is sometimes served in a tall shot glass placed in a wooden box called a masu. 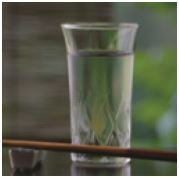 The sake overflowing from the shot glass into the masu represents wealth and abundance. Start by drinking the sake from the shot glass, then either pour the remaining sake from the masu into the shot glass, or drink from a corner of the masu itself. If the shot glass comes in contact with a surface outside the masu, do not return the glass into the sake-filled masu, to avoid contamination. There are quite a few sake breweries in the market. The more popular ones are Hakkaisan and Dassai. Each is brewed in different parts of Japan and are available in Australia at various izakaya Japanese pubs. LIKE WINE, SAKE SHOULD BE SIPPED AND SAVOURED, NOT DRUNK IN SHOTS.